WOW! 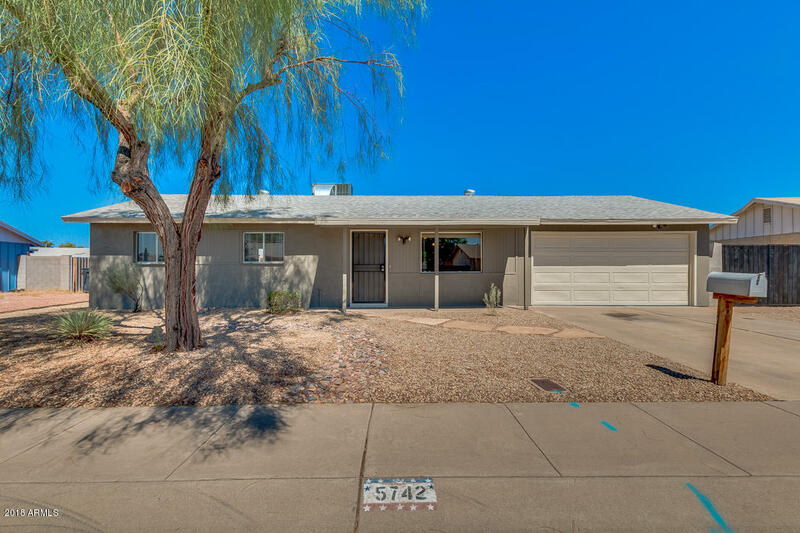 Completely REMODELED (attention to detail) 3/2 with NO HOA & 2 Car Garage! ONLY 3 yr old A/C w/programmable thermostat! Fresh exterior and interior paint! BRAND NEW gray wood look laminate with gray marbled tile! NEW Baseboards! All new blinds throughout! Kitchen has freshly painted cabinets w/NEW hardware, BRAND NEW sink and faucet. Tile counter tops. Dining area. BRAND NEW vanities, sinks, faucets, mirrors and lighting in BOTH bathrooms. Tile surround showers. HUGE Backyard w/extended covered patio & full block fence & lots of green grass (NEW water timer & valves)! 2 car garage w/epoxy floor! Laundry area w/cabinets & shelf. Workshop w/shelves in garage. LARGE shelved storage room off of garage. Close to GCC & lots of shopping, dining and entertainment. W/D and a fridge included.